Ticks the Legate armor to be playable by the player. This mod is quite simple. It ticks the Legate armor to be playable by the player. 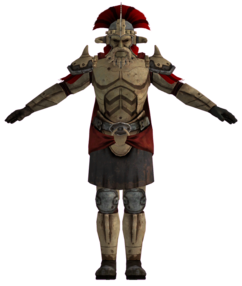 You will now be able to pick up the armor from Legate Lanius apon defeating him. I recommend this goes below anything else, and I hope you enjoy.